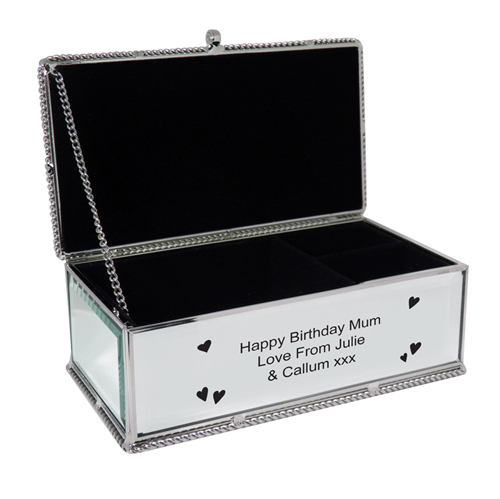 This mirrored jewellery box is covered by mirror with a beaded edge detail and inside and has 3 compartments to store your jewellery. Personalise with any message of your choice over 3 lines, 25 characters on each line. The jewellery box also features a hearts design.